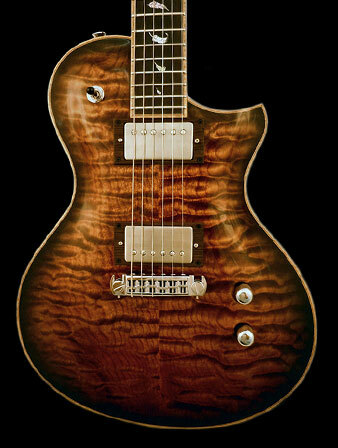 Thank you for visiting Pederson Custom Guitars. 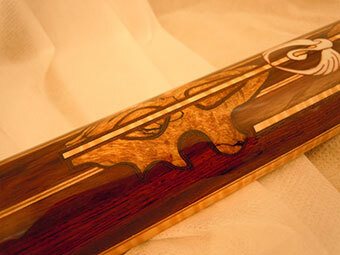 My name is Kevin L. Pederson, and I am a full time luthier approaching my 20th year of building custom guitars. I am a small one-man shop, working directly with my clients and customers, in a collaboration to put your dream instrument in your hands. 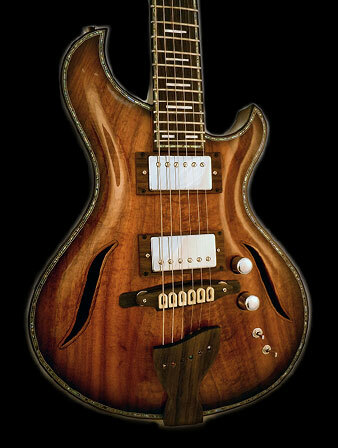 The guitar styles I specialize in are all made by hand and include acoustic, electric and arch top guitars. 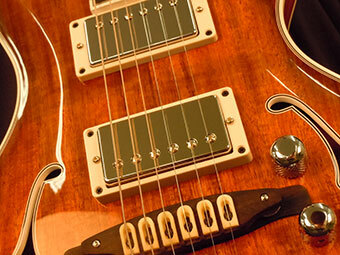 Your dream guitar is a culmination of precision art and music, and a little “science” thrown in. 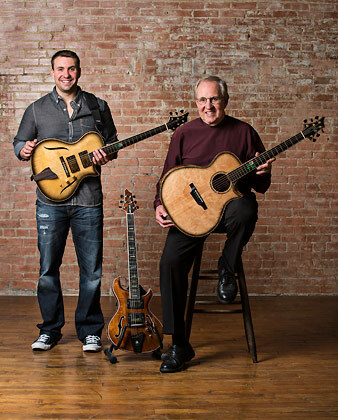 My guitars are the place where progressive innovation and tradition combine, creating a modern voice that is like no other guitar in the luthier built boutique genre. I specialize in building one of the most modern/progressive versions of the steel string guitar in the world today. By offering things like my patent pending "Adjustable Acoustic Bone saddle" with a well-engineered adjustable neck joint, ultra-light bracing and ergonomic designs I am redefining the modern steel-string guitar. I feel these elements meet the demands of a very sophisticated crop of solo finger style artists who looking for the zenith of design efficacy. If you are looking for something different, a tone that stands out, a voice that is big and balanced, a guitar like no other, I’d encourage you to give me a call 641-590-2593 or contact me today. I’d love to speak with you and talk more about your dream guitar. 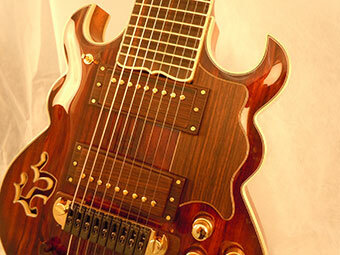 This guitar is a work of art with wood marquetry adorning almost every surface. I have been waiting to get this Pederson in the shop since I got to play it at Healdsburg. Kevin has long been known for his custom electrics, but he has brought all his chops and more to this new Modified SJ. Not only does it have the classic aesthetic that Kevin is so well known for, it has a quick and reactive voice that caught me right from the start. I’m offering a leopard engraved inlay on the headstock of all my guitars in the next 12 months for no charge on any of my models (no other substitutions). Every order placed prior to April 4, 2016, will be eligible for a "builder's choice" high definition engraved leopard on the headstock (if you prefer not to have it, I will leave it off). 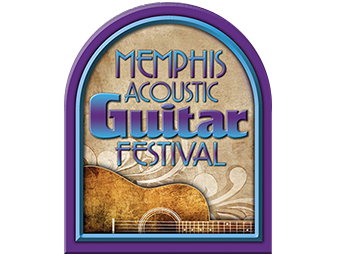 Pederson Custom Guitars will be at the Memphis Acoustic Guitar Festival from Friday, June 5th to Sunday, June 7th. 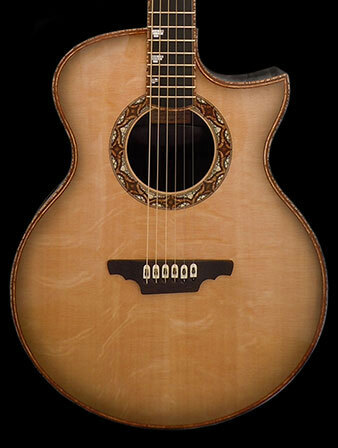 Experience one of our handcrafted acoustic guitars in person! Five years on, I still love my Pederson guitar and wouldn't change a thing.